What a weekend! 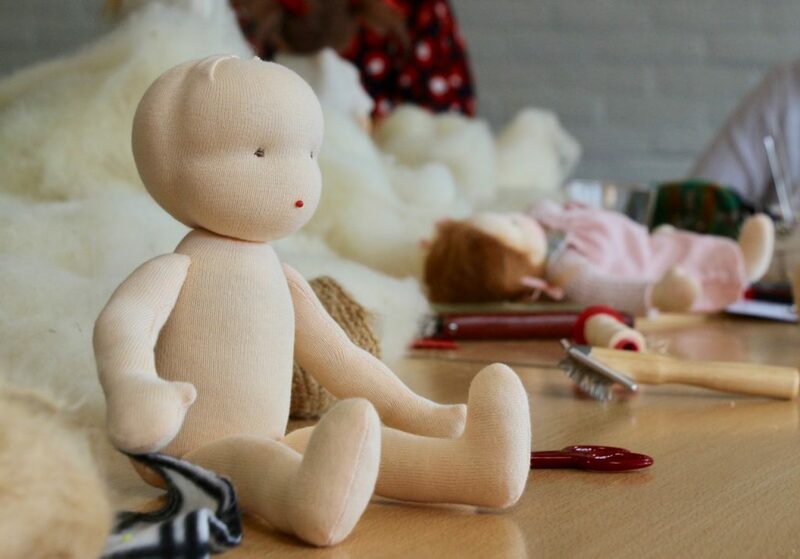 My heart still beats when I think back to certain moments we experienced at the European Waldorf Doll Seminar at Elspeet in The Netherlands. 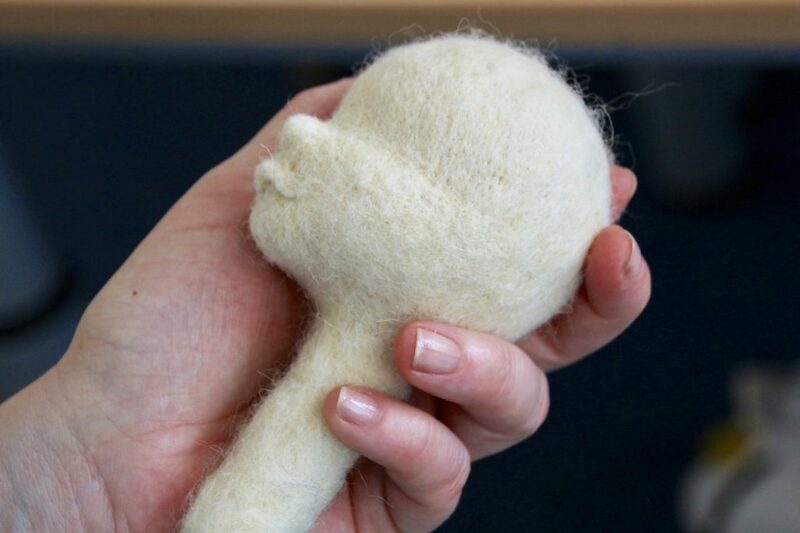 The warm May evenings, dozens of dollmakers sitting outside under linden trees on bales of straw, under a fat yellow moon, felting, stitching, talking, laughing and sipping wine. 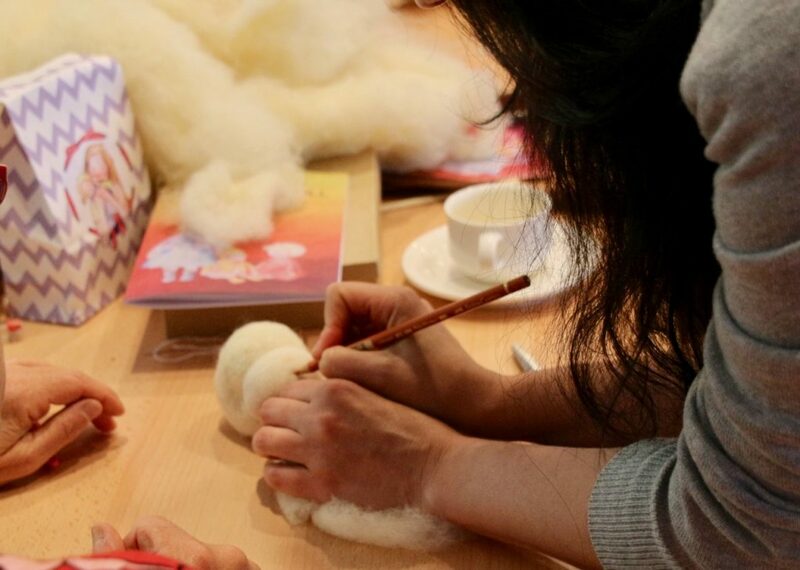 The concentrated atmosphere in the workshops under the guidance of the most talented and skillful dollmakers worldwide. The beautiful creatures we made, small ones and tall ones, sculpted and simple ones. The funny and philosophical moments we shared. The languages we spoke (including the language of dolls), the new skills we learned, the feeling of “WE” we sensed… In short, an experience of pure luxury: 3 days of being together with likewise people from 24 different countries, in a beautiful surrounding, and indulged to the most electrifying and satisfying occupation imaginable: Dollmaking. 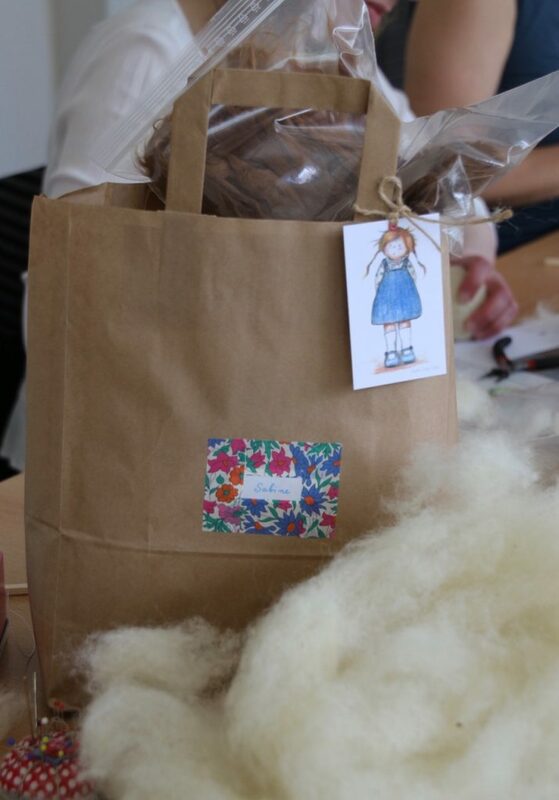 A third thanks goes to Sabine Cardinal from Bienchen and Blümchen (Germany) who had the great idea of a “grab sack”: Everyone brought a dollmaking-related present and put it into a big sack. On Saturday evening, we were all allowed to draw one of the presents from the sack. 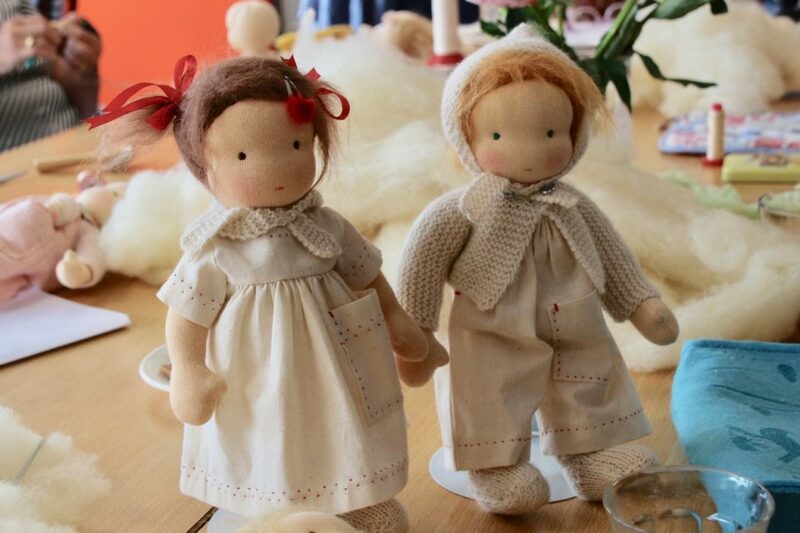 We found the most wonderful surprises: Leather doll shoes (everyone was jealous :-), pocket dolls (for instance, Maria Asenova received just beautiful handmade minidolls, a snowflake, a “Wurzelkind”, and a wooden Matroschka! 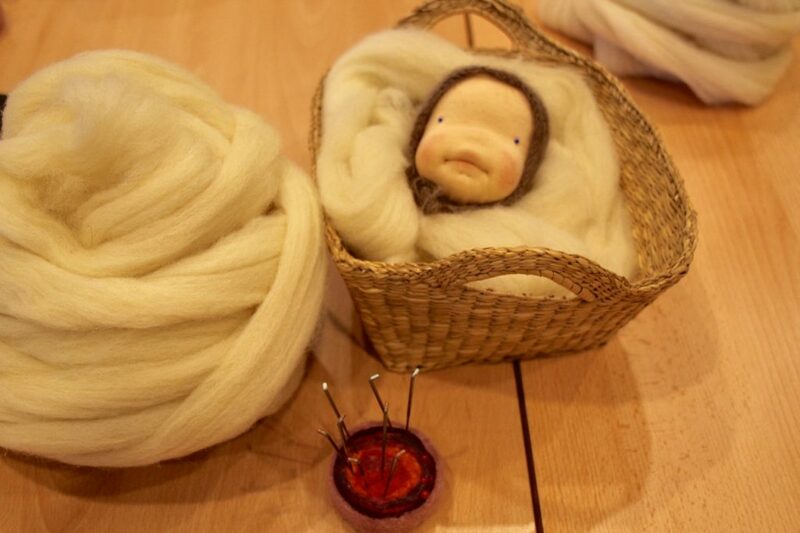 ), vintage dollmaking materials, rare fabrics and hand-dyed wool. Here, we heard many more AAAH!s and OOOH!s. 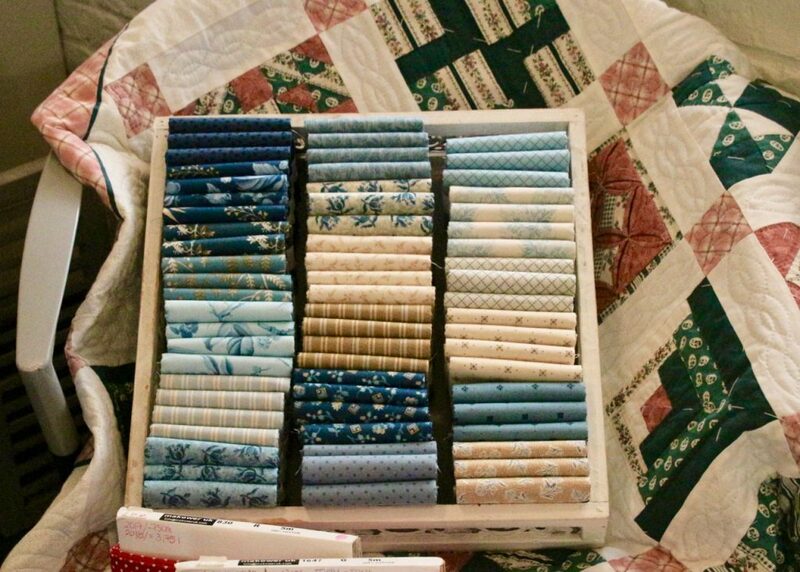 I got a precious package with a fine tea from Florence, a special fabric and vintage laces from the stash of my giver’s family of traditional tailors. Wow! Thank you so much! 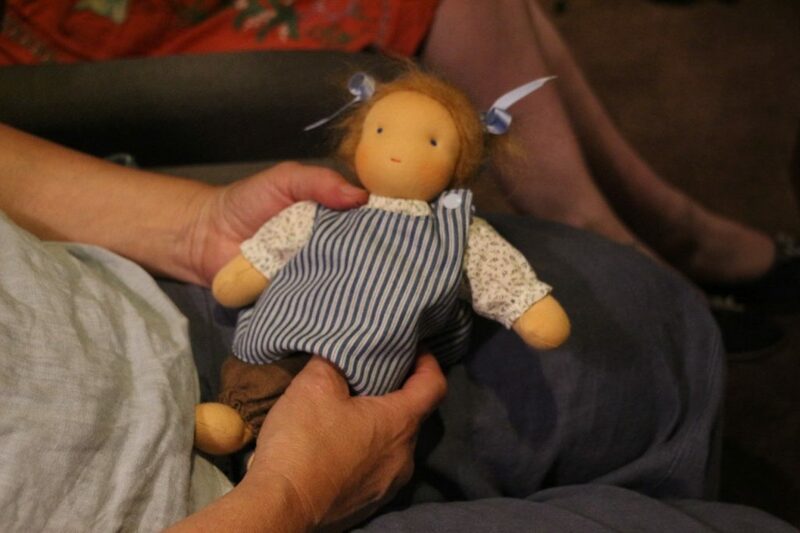 There also was Ineke Gray’s precious doll play on Friday evening. 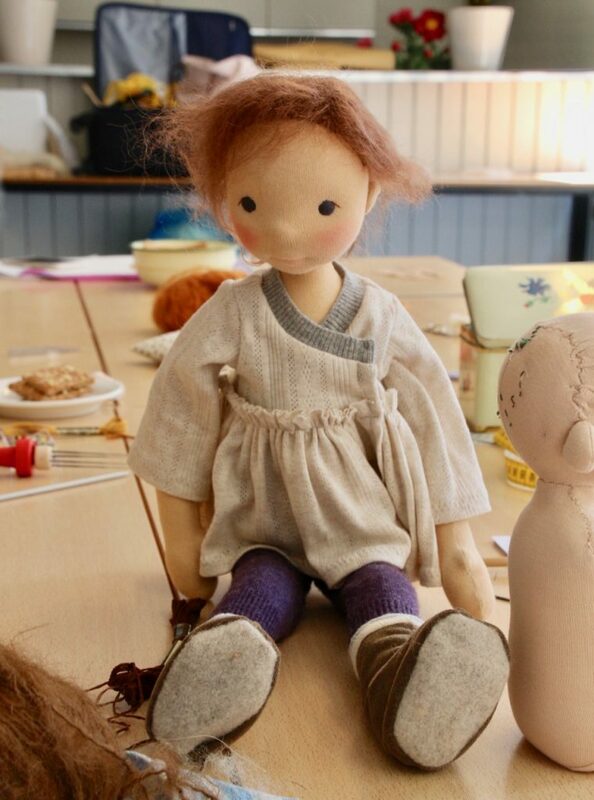 Ineke from Petit Amsterdam is one of the finest dollmakers in The Netherlands (I guess everybody knows!). She often includes storytelling and plays into her teaching. I was unfortunately hindered by a sudden incident to see her “Flower market” play, but I heard from several participants that it was a very special moment and an engaging mood: intense, quiet and beautiful in a soft way. I hope I have the chance at another time to see one of her plays. 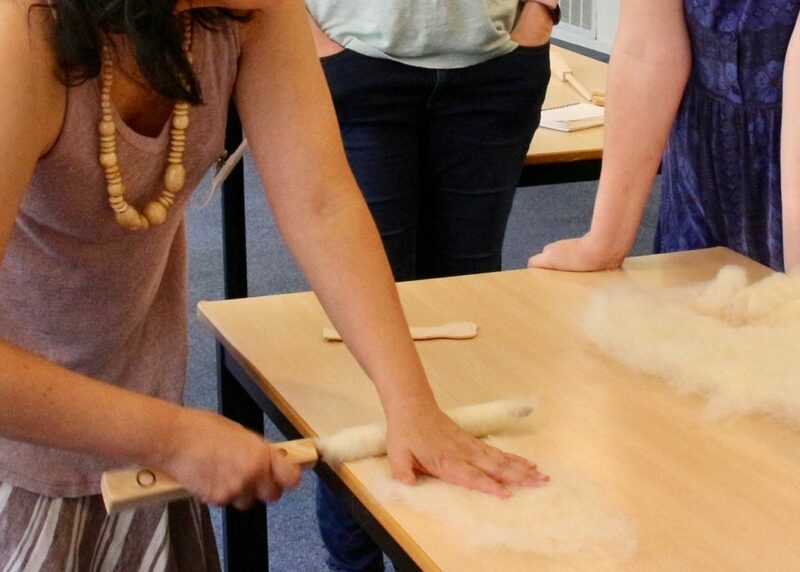 This means that everybody was just in the right place, that the standards were high in every workshop, and that valuable skills were taught everywhere. It couldn’t have been better! 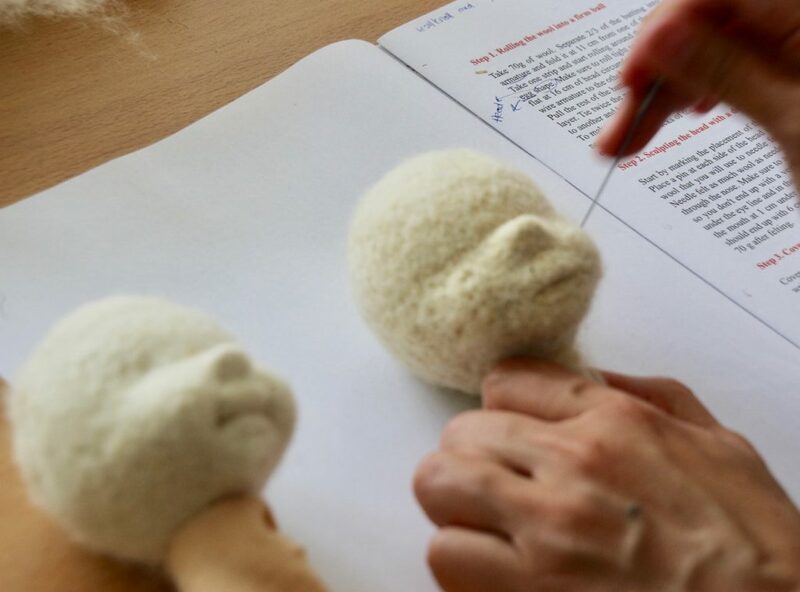 my tutor Dorota Strzebonska from Mum & Dot (Poland), one of the most talented and accurate felting artists I could imagine. Thank you so much for your high standards in the workshop, your strict pursuit for symmetry, and for being just one of the nicest, kindest persons and teachers I have met in my life. I felt so honored to be in your class, and to receive your innumerable personal advices! my tutor Fabiola Perez-Sitko from Fig & Me, one of the most admired dollmaking artists and dollmaking bloggers worldwide. You showed us how to stuff limbs even harder with the magical wood wand made by your husband. And you showed me how a good heart, self-honesty and trust in your own path can create great art. Thanks for your good mood, your laughter, your warmhearted personality and your encouraging teaching! 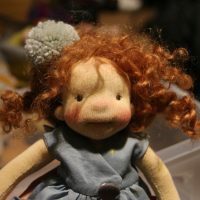 my tutor Daria Gosset from Petit Gosset, who is the first international dollmaker I discovered when I started dollmaking. 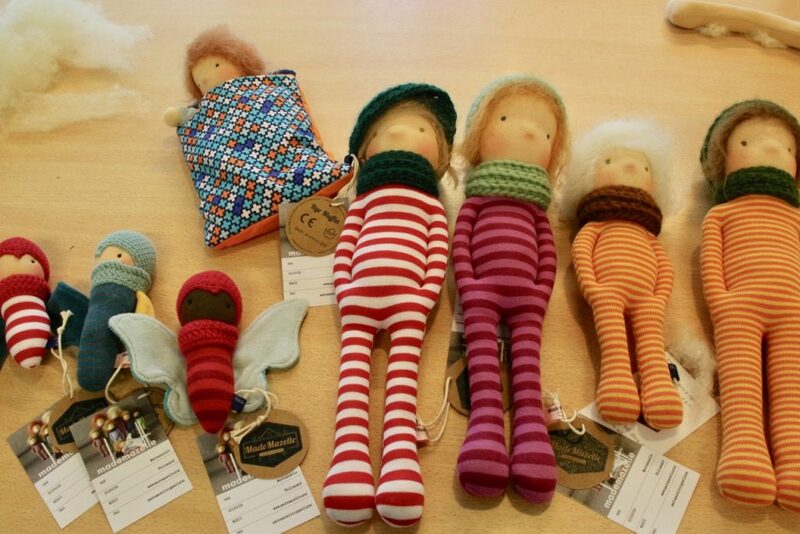 I was immediately stunned by your beautiful dolls, and I am overwhelmed by your art and your personality. 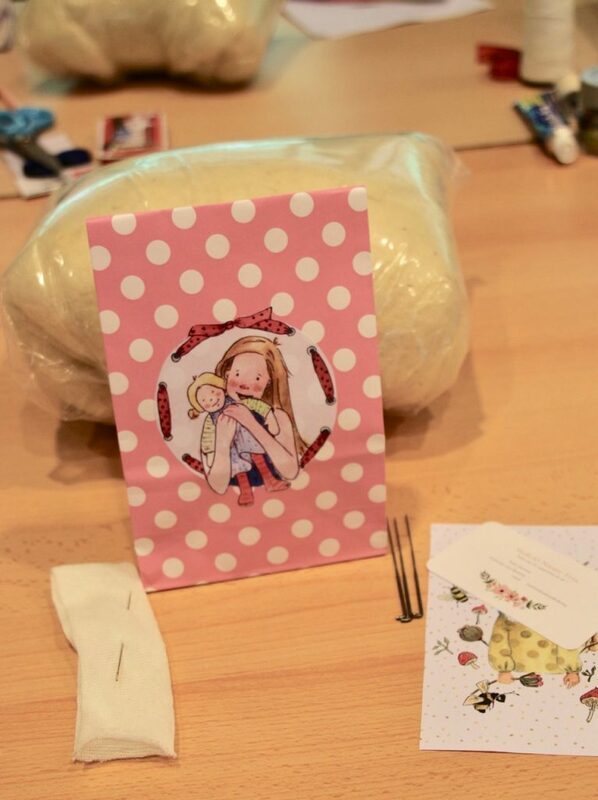 Thanks for being so wonderful, so giving and so patient, and for showing us how to make the most precious doll shoes! 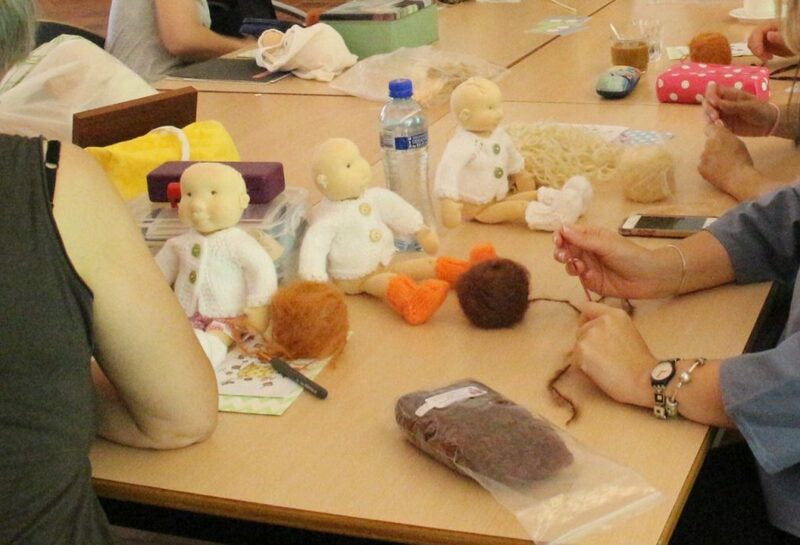 …to my special dollmaking friends: Hannah Sanguinetti from Stoffoli Dolls, Scotland, for your English humor, your soft heart and the laughters we shared. 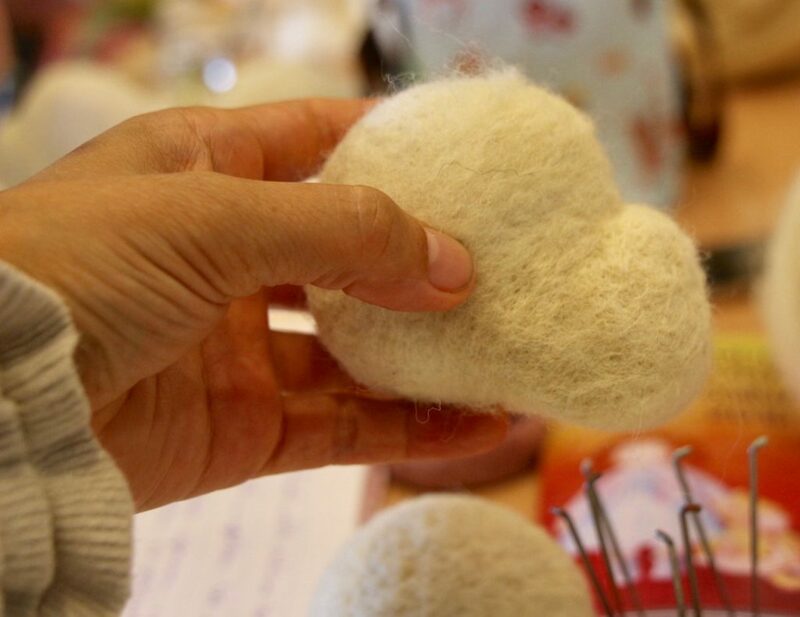 Natassja Couwenberg from Smillahandmade, Belgium, for just being there, for being so frank and having your heart at the right (well, left!) place. Sabine Cardinal from Bienchen und Blümchen, Germany, for your laughters, jokes and tenderness. 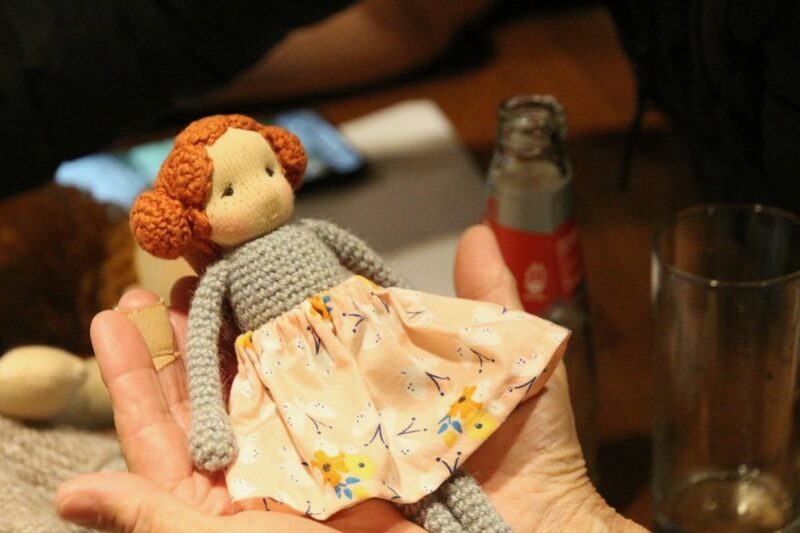 My dear Gonca from Loulabee Dolls, Germany, for your activities to bring people together and being so positive. Sonja Pfister from Puppenmacherei, Switzerland, for your quiet, patient consistency (und für unser gemeinsames Brummen :-). Agathe from la Normandie en France (I don’t have your full name! ), for your style and your youth. Anna-Maria Göllner from Fraugoellner, Germany, for being so open and so nice (and for swallowing the facts about CE-marking so bravely). 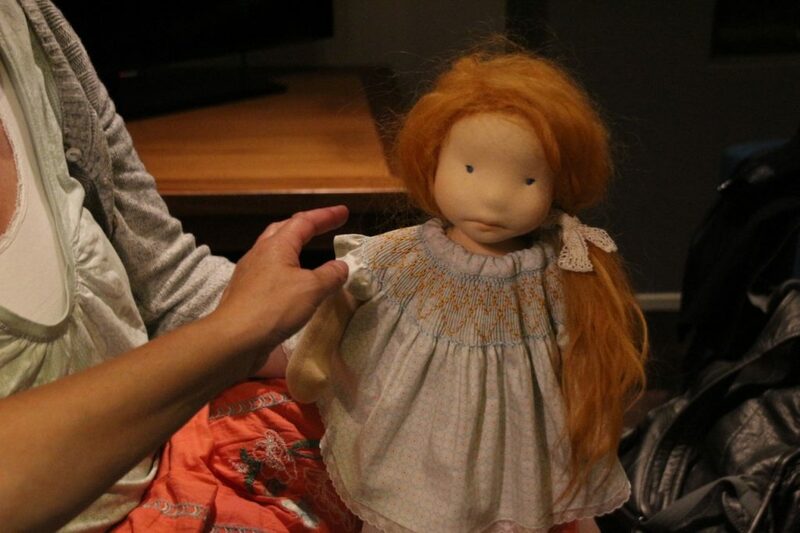 Nathalie Frohn from Rosaminze Puppen (former Kukalka), Germany, for the wonderful long talk we had on Saturday night. Last, but not least, Birgit Betzelt, who touched my heart with her ambition to get it perfectly right and finally overcame her struggles. and to Daniel Frohn, Nathalie’s husband, for the beer 🙂 – and especially for the help when there was no plug for my laptop to connect to the beamer when I was supposed to hold my CE marking lecture. 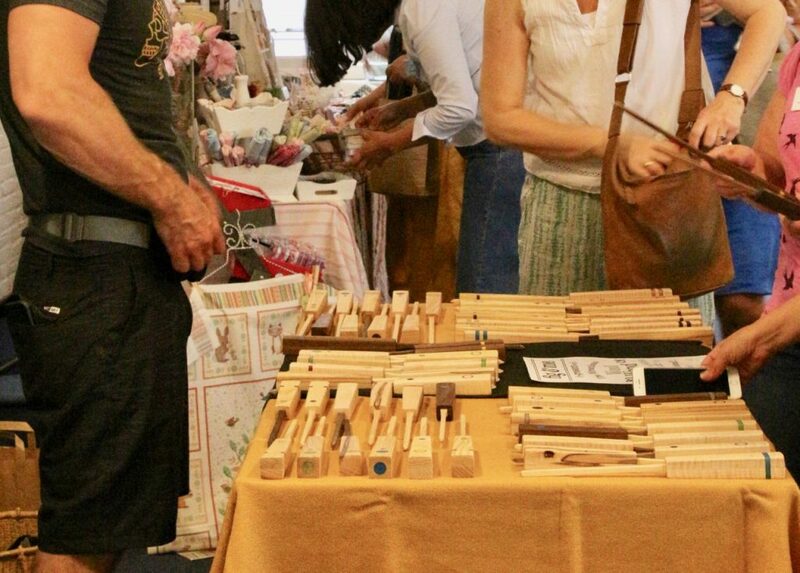 I found it a very good idea that participants were allowed to present handmade items at the textile market on Saturday. Anyway, the textile market was a big party of colors, beautiful materials and handicraft. 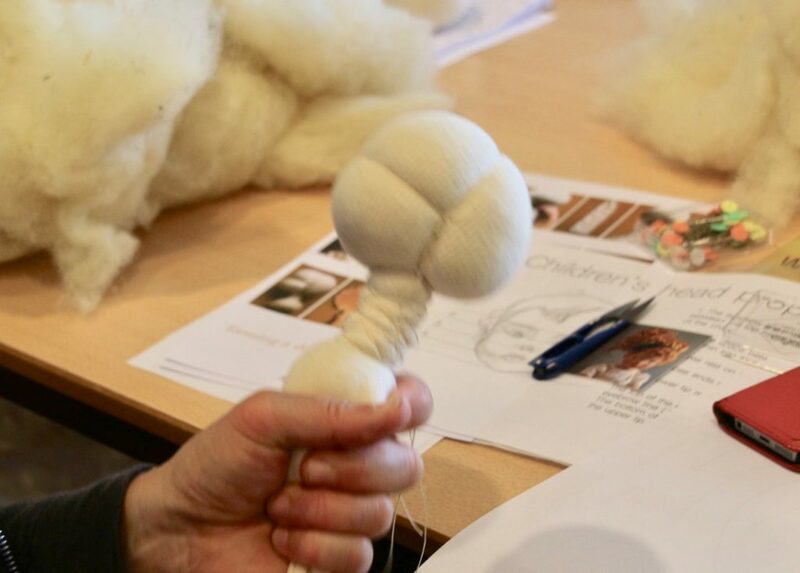 The room was full of the best merchants for natural materials, vintage items and dollmaking supplies available in the Netherlands. 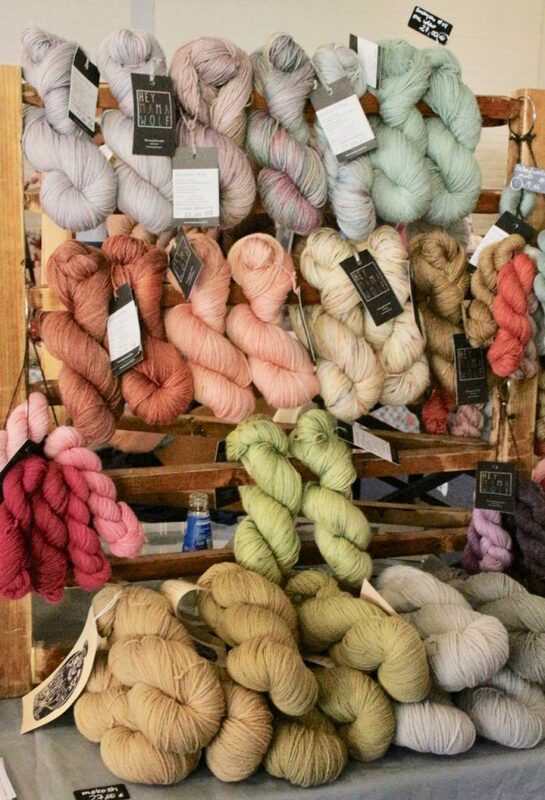 I took the chance and bought quite a few things to use for dollmaking, including some Dolly Mo yarn, since it provides still the best colors available in Mohair yarn. The photos give information I didn’t mention in the text above! Photo disclaimer: Sorry for not showing any human faces, I don’t yet have the permission by the participants. According to the new data protection guidelines, I am thus not allowed to show any faces here. If you want me to post pics with faces, please send me an e-mail with the text “I hereby give Maike Coelle the permission to post photos with my face on her blog (www.feinslieb.net) and on Facebook, at the Facebook group “European Waldorf Doll seminar” and on the Feinslieb Facebook page. 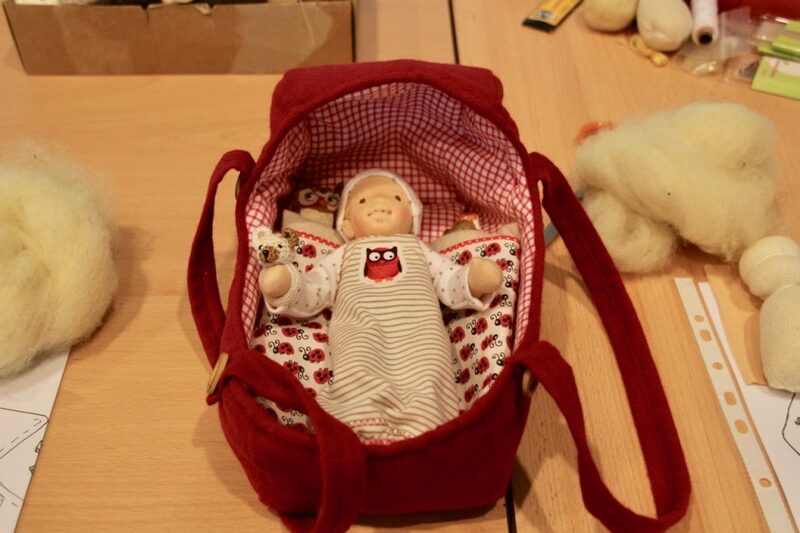 I furthermore allow Maike Coelle to forward pictures of the event by e-mail or WeTransfer to the organizers Kamrin and Berend te Kronnie for the use on their website and in the above-mentioned Facebook group of the event.” Your name (+dollmaker name). As soon as I have ALL PERMISSIONS, I will post more photos. 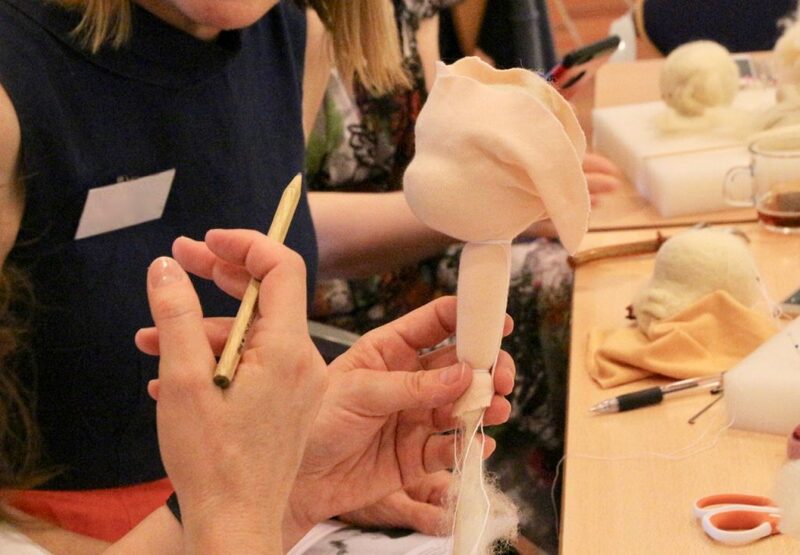 My facesculpted doll Elsa in Berlin style gets examined by other dollmakers. 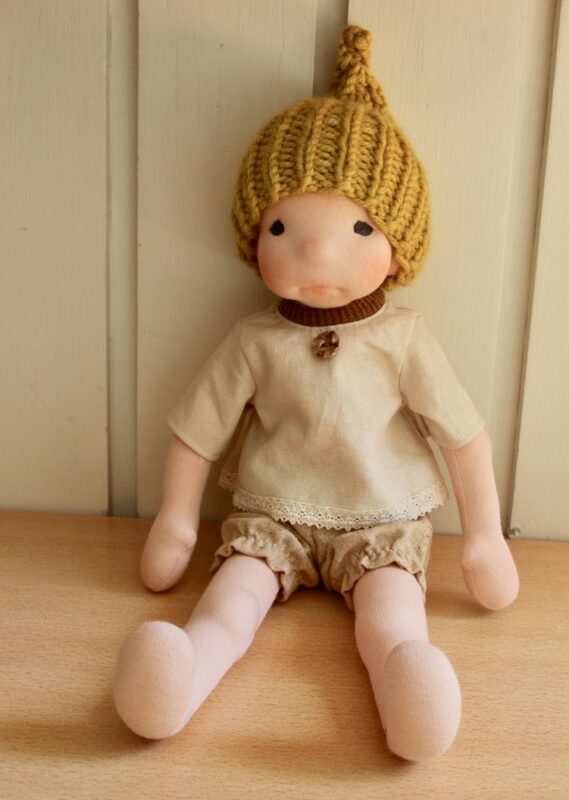 Small cutie by Natassja from Smilla Handmade. Beauty in smocked dress by Sabine from Bienchen und Blümchen. 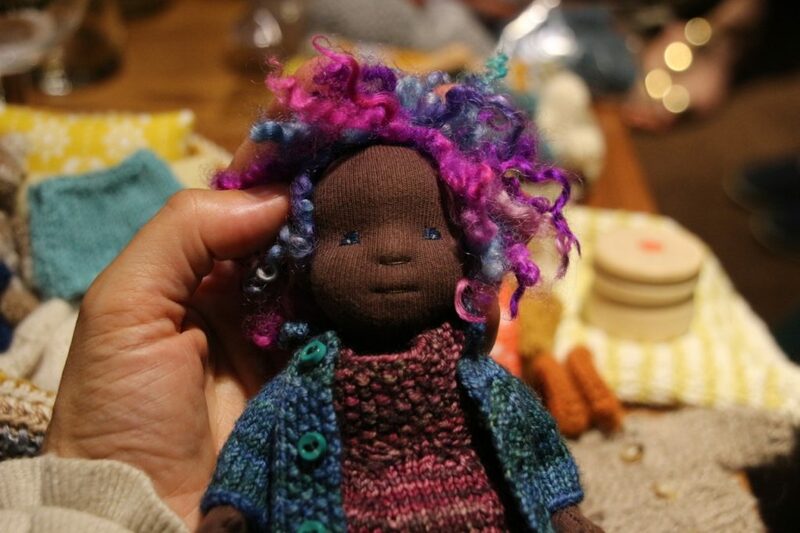 Another cutie by Smilla Handmade. 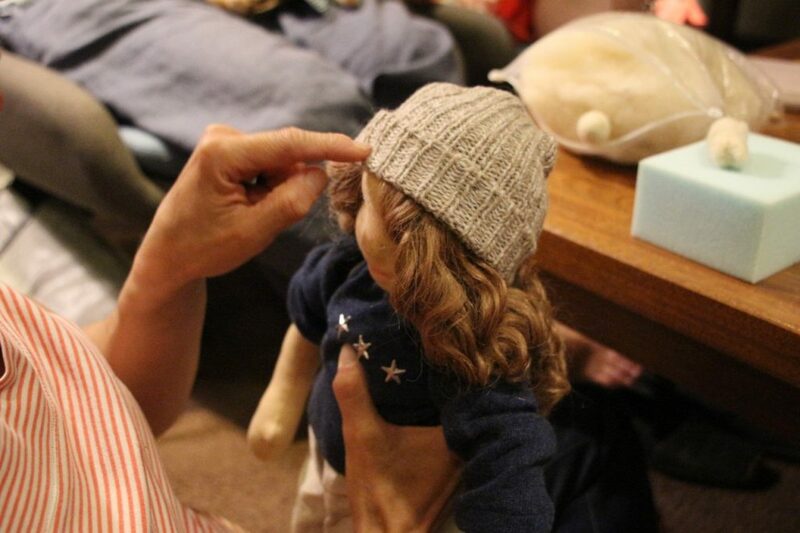 The tiny doll in the doll’s arms is only 1,5 inches small! 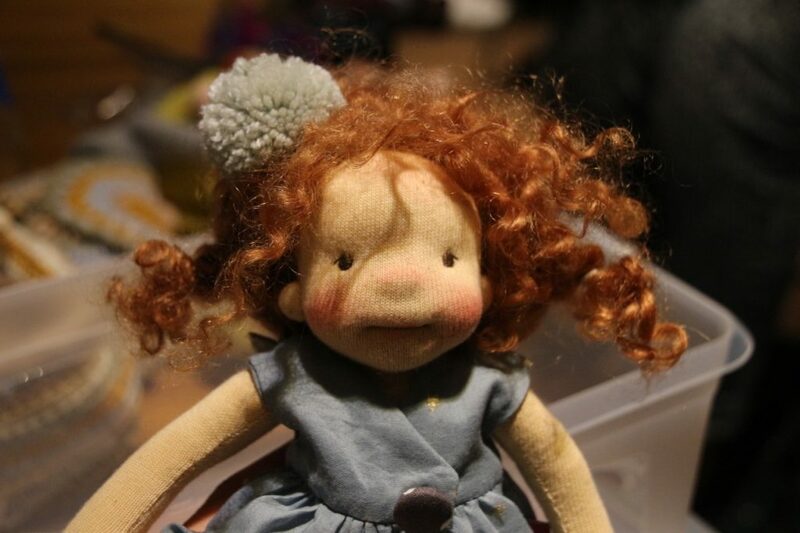 Doll 8″ by Hannah from Stoffoli Dolls. 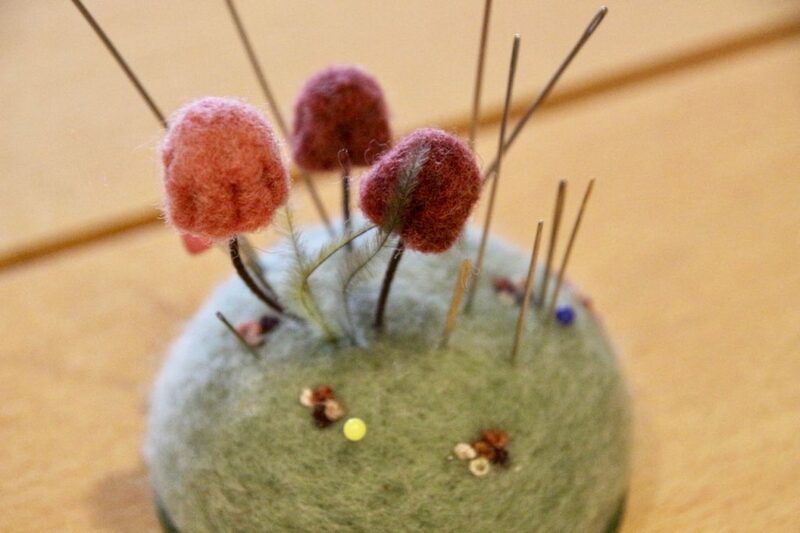 Maureen Broeder’s (Poppenliefde) beautiful model for the workshop next day. Headsculpting with Daria from Petit Gosset. I can’t remember in which class this was… please let me know, if you do! Thanks! 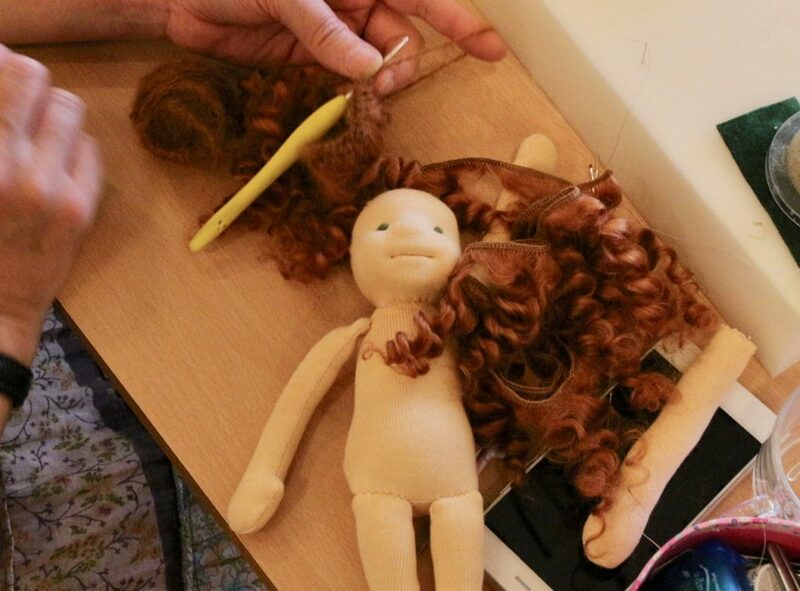 Creating a mini baby doll with Agnieszka Nowak from Lalinda. Another just GREAT teacher and a very giving person – I had her last year and it was just awesome! 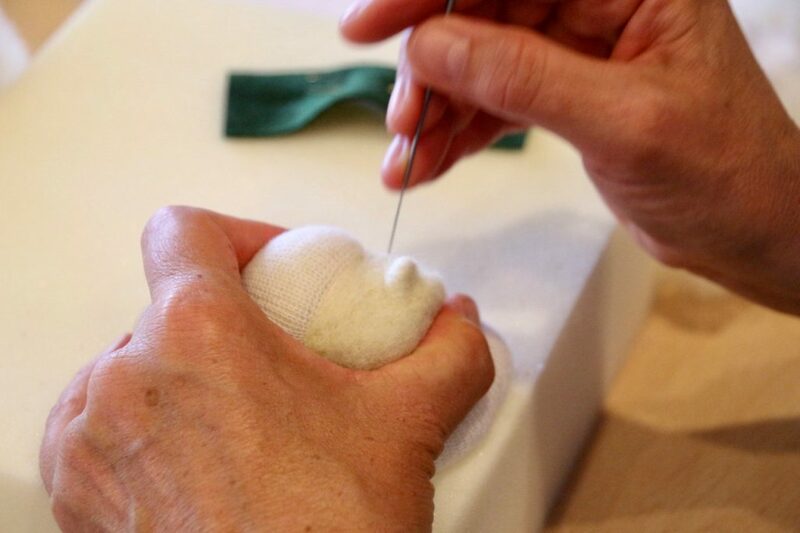 Precise surgery with a carpet knife in a doll head — the head had swallowed a felting needle. The teacher knows how to get it out without damage. Great learning. Classic cuties (16″) are created with Ineke Gray from Petit Amsterdam. Workshop models by Ineke Gray – wow! 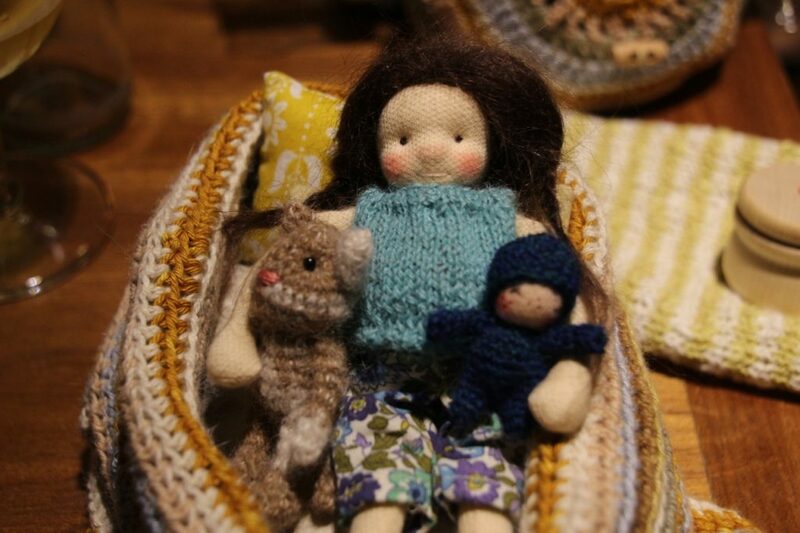 Doll and accessories by Ineke Gray again. So beautiful, so pure. 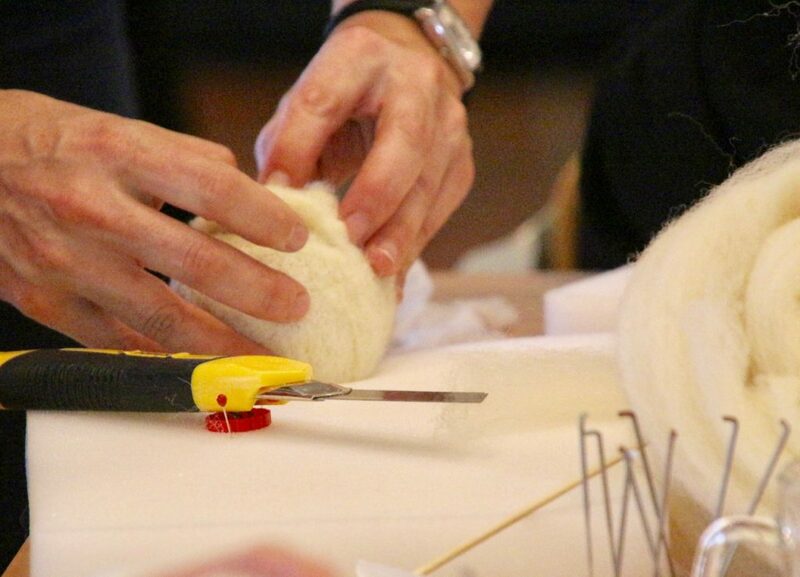 Meglena Jézéquel from North Coast Dolls had prepared little somethings, too, for every participant in her class, including dresses, alpaca or goat hair, and presewn body parts. 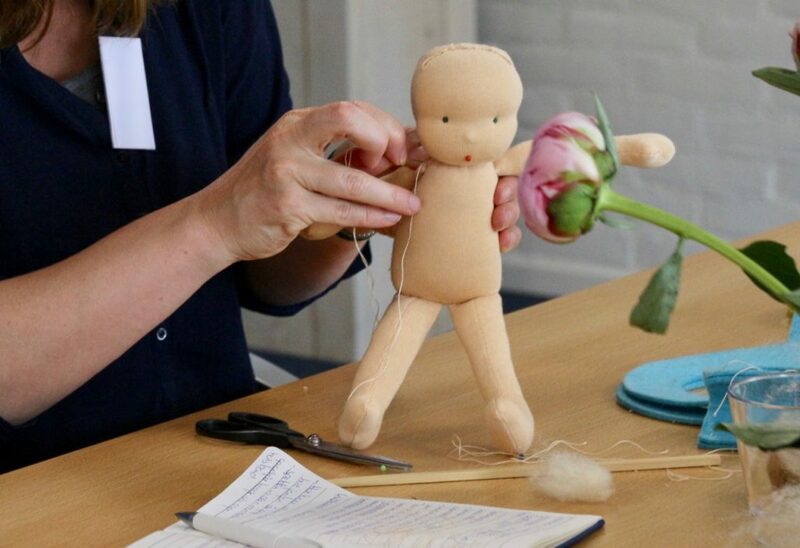 This workshop was one of the most challenging and most rewarding I guess – the participants came out like purified zombies, totally happy, enlightened and exhausted! Meglena’s model for her workshop. 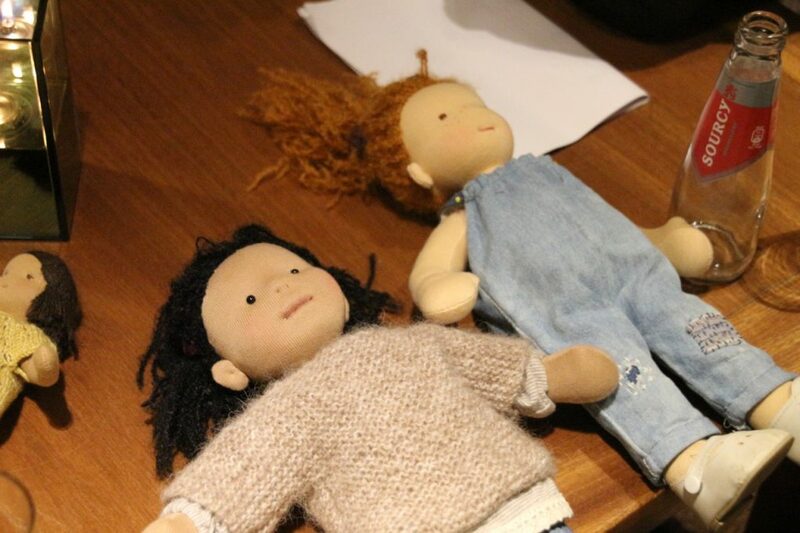 The dolls the participants made were actually as beautiful as the model! Every single one a little treasure. 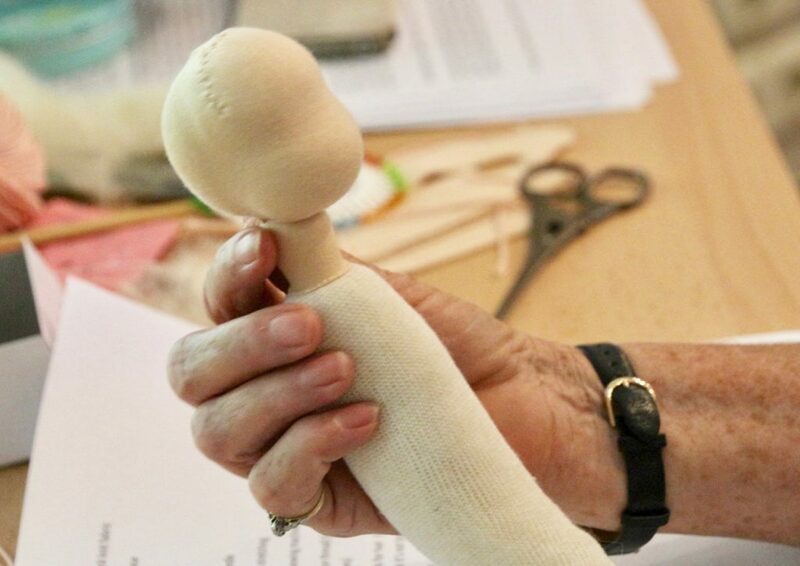 How to attach a neck and doll skin after modeling a head without neck // Dorota Strzebonska’s class (Mum & Dot). 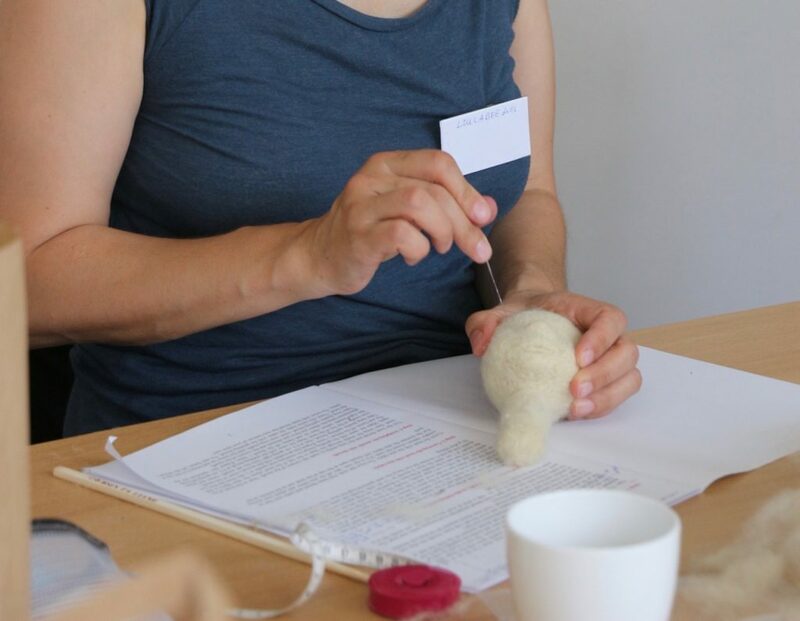 Wool rolling method with the magic wand created by Fabiola’s husband meeting Fabiola’s needs. 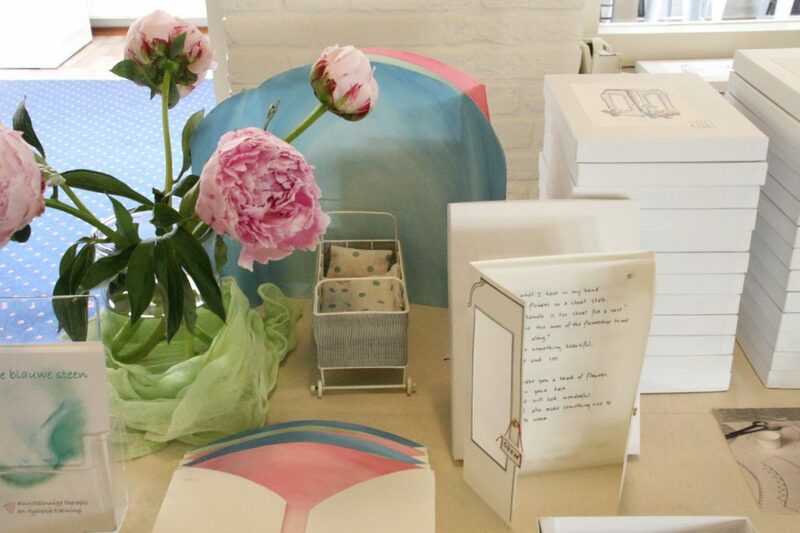 Textile market: Ineke Gray had created beautiful play scenes in a box, including a story book and backgrounds. I really regret that I didn’t buy one – it’s just such a great idea! 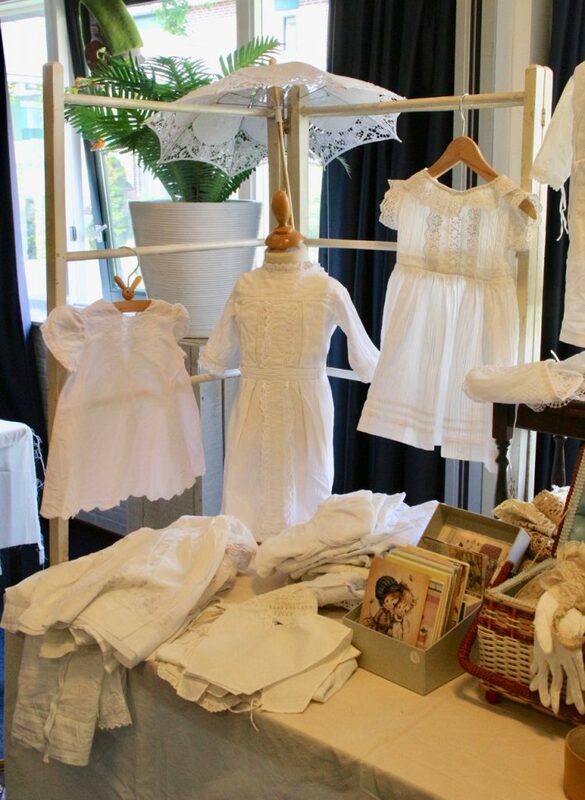 Vintage dresses in baby size at the market. OMG. And my last but not the least THANKS goes to all the other participants. 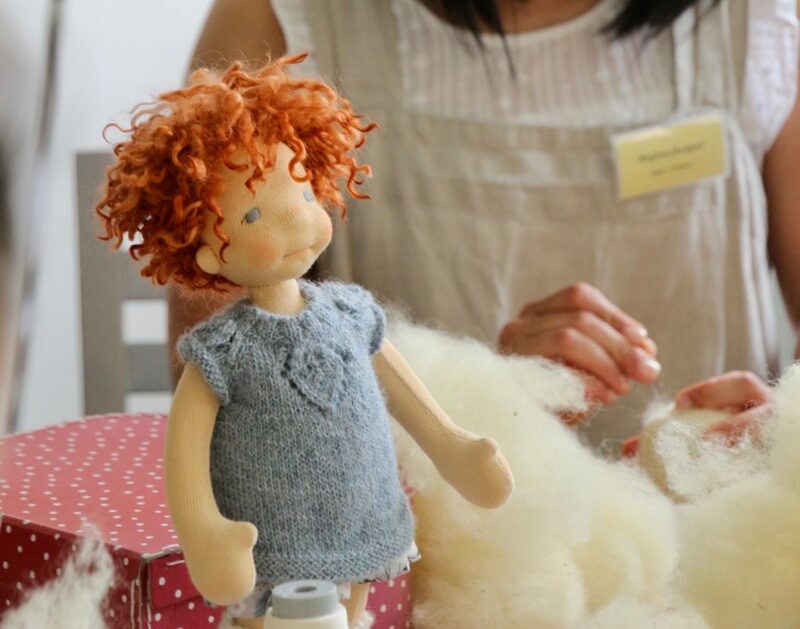 Every maker, be it a professional, a semi-professional or a hobby dollmaker, enriched the event with her experience, her thoughts, her feelings and her inspiration.